PLEASE NOTE: Reviews are on our property as a whole. We have five cabins with five separate listings. If the calendar is booked for a particular date please refer to one of our other listings. The other cabin listings may be on another page lower down on the accommodation site. There is a single bathroom and toilet located in each of the 5 cabins. "A lovely weekend away in a peaceful location. Value for money, warm, inviting and cosy. A wonderful friendly welcome upon arrival. Awesome hot water system and a clean space to unwind and relax. We loved our 2 night stay at hidden cabins. Such a delight for our 3 young children aged 6,4 and 3 who were able to feed the king parrots by hand and spot different birds in the trees or on our balcony. Only 15min in to lorne. Great place to base yourself at, at an affordable price. Friendly and knowledgeable hosts. Great place to relax and enjoy the local sights and amenities. Fabulous stay - enjoyed every moment. Great hosts. Beautiful and quiet surrounds with everything we needed. Beautiful and peaceful, exactly what we wanted. 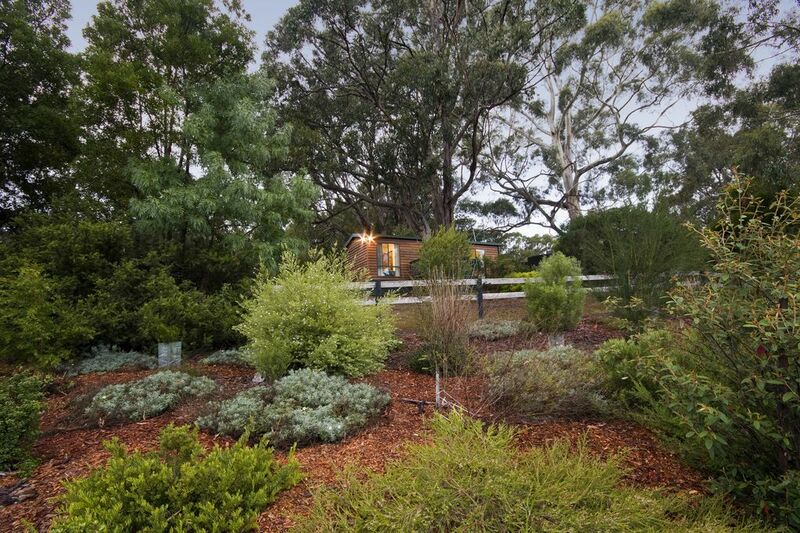 Wonderful bushland and private cabins. Clean and tidy, welcoming owners.